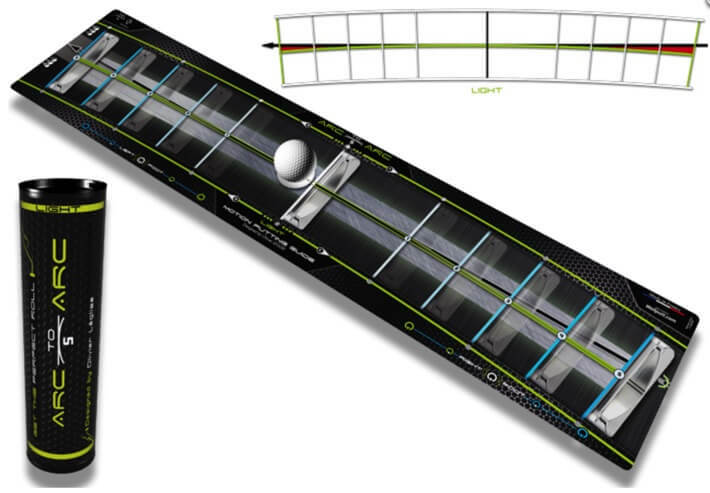 Flexible putting board. Compact and easy to store in golf bag – designed by Olivier Leglise, the French national coach. Can be used indoors with Welling-putt mat or outdoors on a putting green. This arc light is “Inside”, straight but not too much inside at the end. It helps to hit the ball “going up” at the end for a ball contact softer and lighter. It fits to players who like to place their ball in front of the left foot and are looking for a going up hit for a very loft contact.